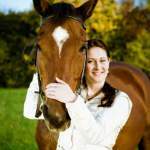 A Proper Assessment Of A Horse's Health Before Purchasing. A pre-purchase exam is performed on a horse a person is considering purchasing. It is generally the responsibility of the purchaser to schedule and bear the cost of the exam. The examinations are performed to determine the health and soundness of the horse at the time of the evaluation. Dr. Rich Hartman Performs A Lameness Evaluation As Part Of A Pre Purchase Exam. 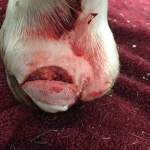 The standard pre-purchase exam include a complete physical examination and lameness evaluation. The physical examination includes listening to the heart, lungs, gastrointestinal sounds, taking a temperature, and examining the eyes and oral cavity. The doctor will perform two lameness evaluation. The horse is evaluated at the trot and canter while traveling in a circle. The other is a flexion test. A flexion test involves the flexing of different joints, then watching the horse trot in a straight line. Doctors are looking to see if any lameness is elicited. A positive flexion test may indicate a joint problem. A buyer may wish to have additional test performed. These include radiographs (x-rays), blood work, drug testing, endoscopic examinations, or a reproductive exam. Purchase examinations can be tailored to address the concerns of the buyer. They can include any or all of the above tests depending on the concerns of the buyer. 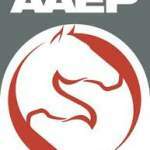 A pre-purchase exam is performed to determine the health and soundness of the horse at the time of the examination. Unfortunately, there are limits to what can be determined to the examination. It cannot be determined if a horse has had episodes of colic the past or in the future. (Exception: If a horse has had colic surgery the doctor may be able to feel an abdominal scar.) 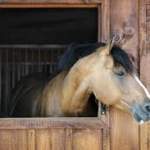 It also cannot be determined if the horse has been exposed to any contagious diseases if is not currently showing any signs. The future soundness of the horse cannot be guaranteed. Finally, the athletic ability of a horse cannot be determined by a pre-purchase exam. A pre-purchase examination can be invaluable in helping you with your decision to purchase a horse. The cost of the pre-puchase exam varies depending the types of evaluations performed. A full blown exam can get a bit expensive, but the cost pales in comparison to the cost of boarding, feeding and training a horse that is unable to complete a task it will be asked to perform.